Why do your competitor's websites show up before yours on the Google search page? Why do they show up ahead of you on the Google Maps page? What can you do to change it and get your business showing up higher on the search results so more people will find you? Most of what needs to be done to get more exposure online has to be done only one time. Get things set up right and you're set. There are also some ongoing tasks that help such as blog posting and paid advertising. What matters most? How can you make the biggest difference and get the biggest benefits? Most agree that almost all businesses and organizations need a website. Besides the obvious reasons of being a place for customers to find your business online and a place to present what you offer, there are some specific reasons a website is needed. The Internet is a web with millions of websites with links that point between them. Links also point from ads and online directories to websites. If you want to use paid advertising you need a website (with a few exceptions). If you want to be listed in Google Maps and other online directories, you don't have to, but you should have a website. All of the places on the Internet that contain your business information combine together into one ranking factor that will affect how you show up in Google search results. This includes your listing in online directories such as Google Maps, the Facebook business directory, and many other directories. There are many, many things that can help optimize a website to help it show up higher in search results. Many of them have to do with using good, descriptive keywords in the right places and other common sense things that you may be doing anyway. Listed below are some that will make the most difference giving you the biggest benefits. Categorize your website into logical sections that make it easy for visitors and search engines to understand what it's about. For example if you offer 3 main categories of products or services, make one web page for each. If you sell clothing you might have a page for shoes, one for shirts, one for dresses, one for sport coats, and so on. When someone is on Google searching for sport coats, your page that is all about sport coats will show up better than a page that includes sport coats along with everything else. Clarity and the next step. Make your website clear and easy to understand so there is no doubt in the visitors minds who the website is owned by and what it's for. Prompt your visitor to take the next step. Don't leave them hanging. If you do they'll leave. The main goal is to keep the visitor on your website. Give them a good reason to click to another page or to contact you. Page Titles. The page title is a technicality but most website software will allow you to easily enter it. Use descriptive words that include your business name. For example the page title for a clothing store's sport coats page could be "Sport Coats for Men, Ryan's Menswear Fargo, ND". The page title is the main heading of your Google Search listing in the Google search results. It's a strong signal to Google about what your page is about so it has a lot of power when it comes to getting the page to show up on Google. Get your business listed accurately in the Google online directory. 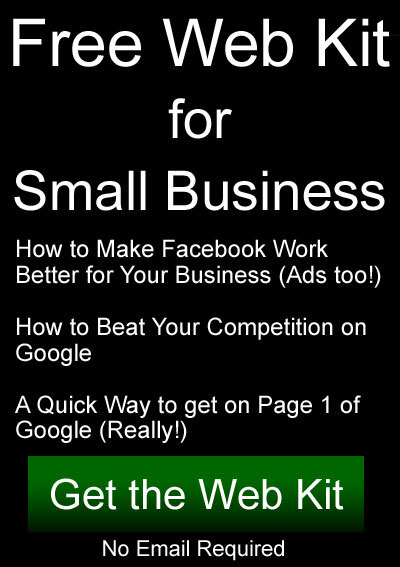 Go to www.google.com/business to get started. Often times your business will already exist in the directory. In that case you'll just claim it and update it with your correct information. Fill it out as completely as you can and make sure everything is entered exactly right. This directory is used by Google Maps so you'll be in the map with this listing. Other online directories include Facebook, Foursquare, Superpages, Infogroup, Localeze, Factual, Citysearch, Insiderpages, Best of the Web, Bing, Hotfrog, and Yellow Pages. Most all of these offer both free and paid listings. All you need is the free listing but make sure your information is exactly the same as what's in the Google directory. State the name, address, and phone numbers exactly the same across all directories AND your website. 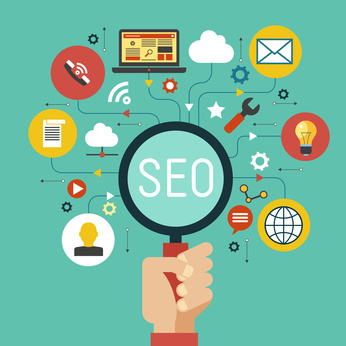 There are many more little things you can do to optimize a website for better search results. But the things mentioned above will give you a huge boost. Enter as much relevant information as you can on each page of your website and keep each page focused on that pages main topic. It's a little easier to get started with Facebook Advertising than with Google Advertising. But each has their own place and benefits. Facebook advertising is interruptive. Google search ads provide what people are actively searching for. Not everyone is on Facebook so using the Google display network offers a similar option to Facebook Ads. Google advertising on the Google search site can be expensive. Many businesses can expect to pay one dollar and on up to $50 or more per click depending on the topic and competition. The Google Display network involves showing your Ads on other websites using Google Adsense. You'll see these ads on websites like newspaper sites, other news sites, and YouTube. Clicks on these types of ads can be much cheaper, even down to a few cents per click. With Facebook Ads you also get cheaper clicks that can compare to the Google Display network. To set up a Google Ads account go to this page: www.google.com/AdWords. You can set up a Google Search Ad Campaign and/or a Google Display Network Ad Campaign. To set up Facebook advertising you need a Facebook business page. Go here to set that up: https://www.facebook.com/pages/create. Then go here to set up your Ad Account settings and enter your payment method: https://www.facebook.com/ads/manager. For more control over what you're doing with Facebook Ads use the "Ads Manager" rather than just clicking the blue "Boost" buttons. You can find the Ads Manager by clicking the down arrow (on the right in the top blue bar) while logged into Facebook. You can get a lot of free advertising with Facebook too, but if you really want to get the most exposure more quickly use some paid advertising. I recently ran an Ad on the Google Display Network that got seen over 18,000 times, was clicked on 163 times at a cost of 30 cents per click for a total of $48. A Google Search Ad was shown to 3035 people, clicked on 119 times at a cost of $1.02 per click for a total of $121.90. A Facebook Ad reached 14,000 people for $200.